Continuing Judge Dredd– At The Polls by Lee Robson and Bryan Coyle. The next exciting episode will be tomorrow! Join us for the next 10 days for Judge Dredd- At The Polls by Lee Robson and Bryan Coyle. The next exciting episode will be tomorrow! As a ‘Small Press’ publisher we are heavily dependent on word of mouth for new customers, so if you have a strip in any of our books- tell the world. Ask them to email in to FQP central and ask about discounts on multiple copies, sketches and generally anything they may need to know about the comics here at FQP. Next up for FQP is the summer releases- FutureQuake 27 is almost ready to roll off the production lines alongside Zarjaz 24 and Dogbreath 30! The next time we’ll be on the road will be ICE on September 5th where you will be able to meet both John Wagner AND Carlos Ezquerra! 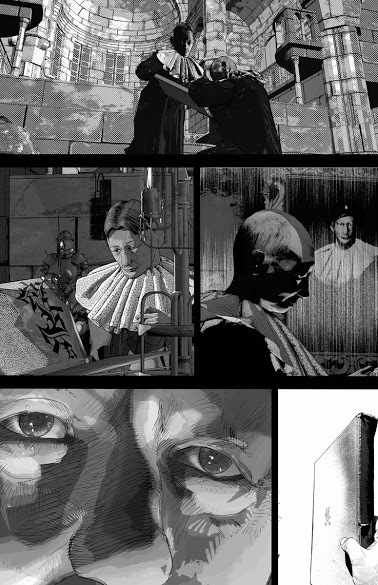 Bloody Mother is a script by Scott Melrose currently being illustrated by Denis Vermesse and is intended for Something Wicked. From the smaple above it s going to be a cracking strip. This weekend we hit the road for the first gig of 2015! 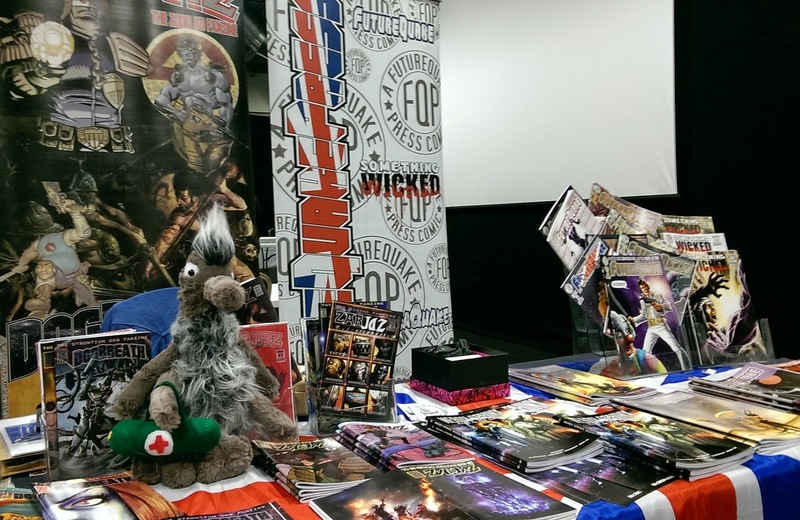 The Comic Festival hits Birminghams Edgbaston Cricket ground for a full day of nerdery and comics. FQP are proud to be at this event and hope it is only the first of many. Launching at the gig is NEROY SPHINX- Back in the Game, (as mentioned a few times recently) alongside all the latest and greatest from FQP! 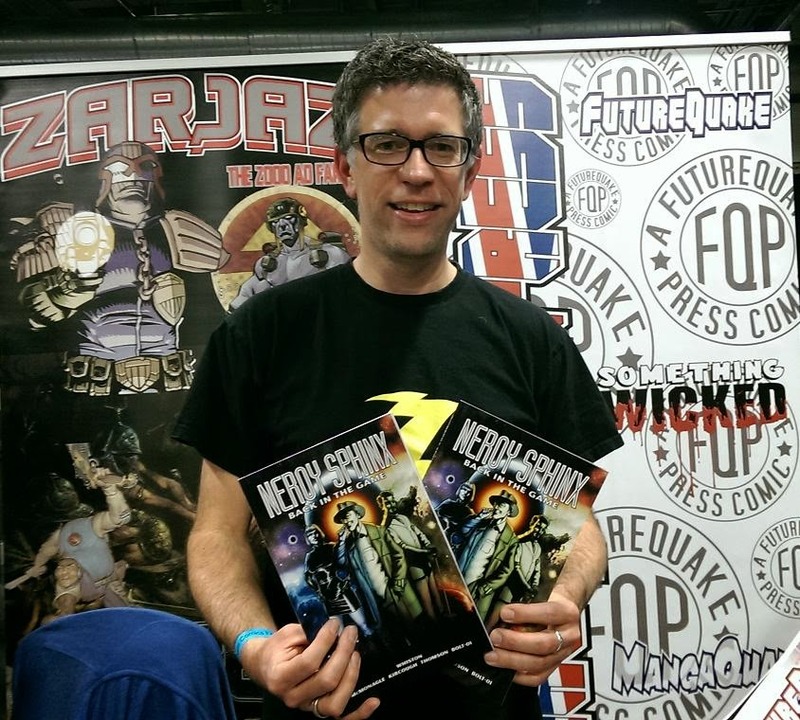 Also attending will be writer Dan Whiston- so you will be able to get your copy of the book signed by the author! FutureQuake 26, cover by Matt Soffe. Don’t forget that a full range of back issues is carried at gigs and all sales over £10 get to choose from the sketches of Bolt-01. Also available and of note is BLOODFELLAS. Written By Jasper Bark, with art by Mick Trimble and Aljosa Tomic and lettered by Bolt-01. Visit Armand Rosamilia for a guest post by Jasper regarding this new work. Join us tomorrow for a fantastic day out!